The Audi-exclusive tuner, PPI Automotive Design GmbH, has announced they will build only 10 units of their Audi R8 based RAZOR GTR-10 with the V10 engine. The Audi-exclusive tuner, PPI Automotive Design GmbH, has announced they will build only 10 units of their Audi R8 based RAZOR GTR-10 with the V10 engine. With only the front hood, front bumper and rear diffuser the same as the previous RAZOR GTR, all other body parts which include the front fenders, front spoiler, sideskirts, rear fender/sideblade, rear spoiler, rear engine lid and rear bumper are different, despite some looking similar. PPI has refined the V10 engine with a roof mounted ram air-intake system with sport filter, vented liftgate glass, high-performance exhaust system and reprogrammed ignition map. 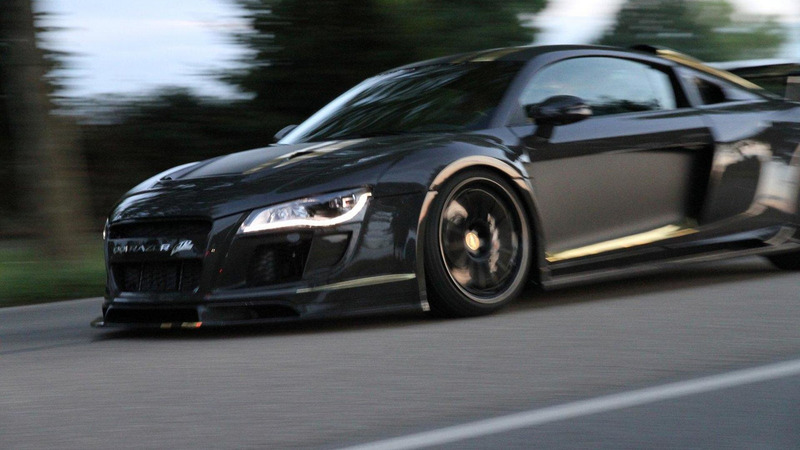 The result is 601 bhp (448 kW / 609 PS) at 7,400 rpm and maximum torque of 565 Nm at 6,400 rpm. 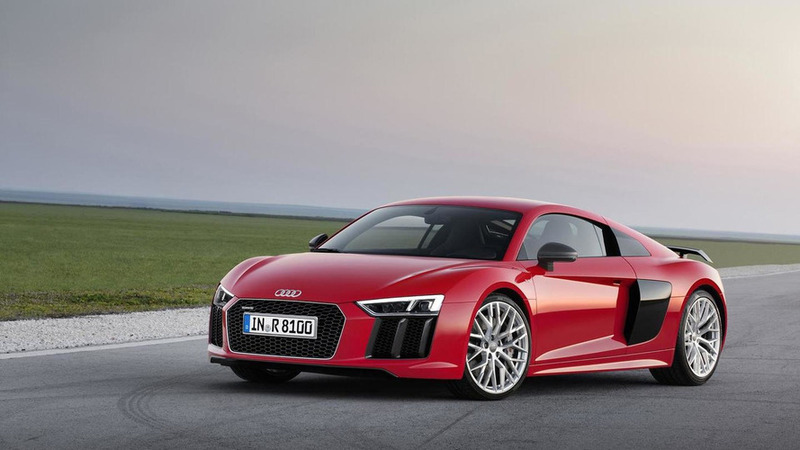 For comparisson the serial R8 V10 produces 518 bhp (386 kW / 525 PS). For the body, a completely redesigned (compared to the RAZOR GTR) wind tunnel tested carbon fiber wide body kit (as outlined aboved) reduces lift and adds cooling to the engine oil coolers and brake system. Carbon fiber is also draped on the roof pillars and doors in addition to the entire body receiving an optical carbon fiber skin. The total weight savings is 250 kg / 551 lbs (serial curb weight V10 R-tronic: 1,625 kg / 3582 lbs) combined with the additional horsepower equates to a 0 to 100 km/h of 3.2 seconds (with modified R-tronic transmission) and a maximum top speed of 335 km/h (208 mph). The wheel and tire combination for the RAZOR GTR-10 includes lightweight MAG11 Forged Aluminium PPI wheels in 9Jx19 (front) weighing 10.0 kg and 12.0J x 20 (rear) weighing 10.9 kg. Tires in the front are 245/35 ZR 19 Michelin Pilot Sport 2 with 325/25 ZR 20 at the rear. Braking is provided by 6-piston calipers with 380 x 36 millimeter discs up front and 356 x 32 mm discs at the rear. Naturally, Audi's Carbon Ceramic Brake System with PPI-specified higher friction brake pads are also available. Suspension comes way of a new KW coilover strut/spring kit. PPI also offers a camber kit and tie-rod kit along with a hydraulic lift system for the front axle which can increase ground clearance by up to 45 millimeters if needed. Each RAZOR GTR-10 comes with an aluminum plaque framed in carbon fiber showing the production number.